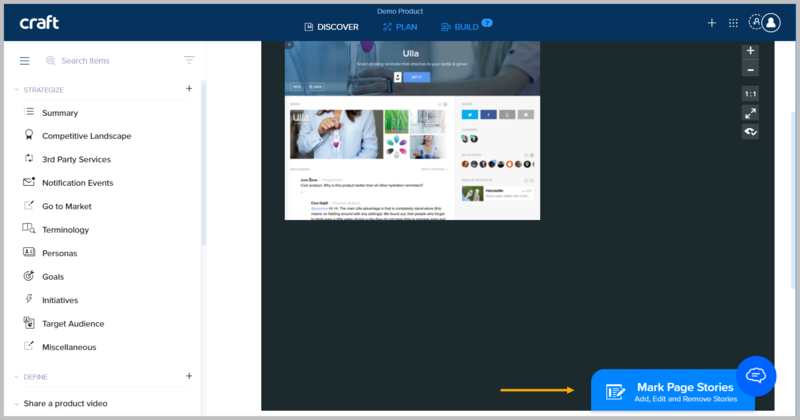 You can start adding page designs to items or create new items and then add the page design. The following explanation describes how to add a page design to an existing Item. 1. Double-click the description of the Item, for example a User Story. The Add Page Design button appears in the item toolbar. 2. Click Add page designs. 3. 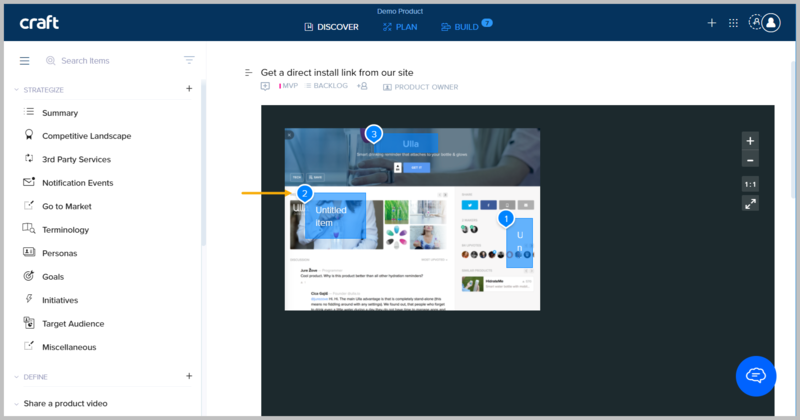 Select a page design from your computer and click Open (optionally, you can click the relevant icons to upload a page design from your Google Drive or Dropbox account). 4. Wait for the page design to fully load and click Done. 5. 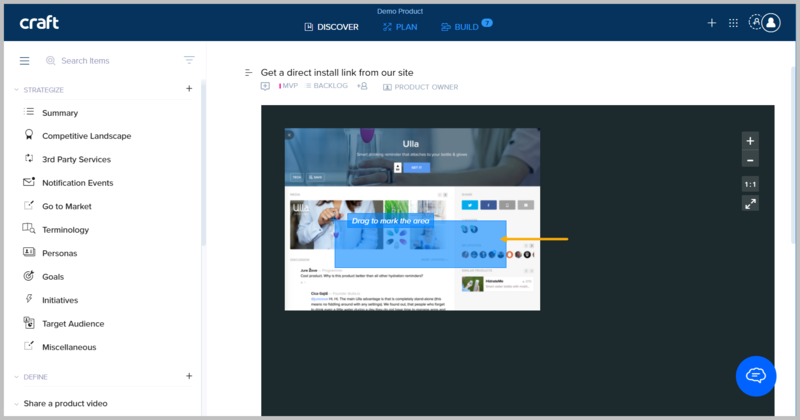 After clicking Done, your page design will now be part of your Item and the Mark Page Stories tool will appear in the lower right corner.. Now you have the option to mark areas of your page and make them actionable items (page stories). 6. Click the Mark Page Stories button and drag an area of the image to mark it. Leave the mouse button once you have marked the area you want. 7. Once you have marked the are you want, a new window is displayed. Enter the Story Name and Description and click Done. If you want to enter more details, such as Importance, Priority, etc., click Full Edit. 8. Once you have completed entering the details of the Page Stories, they will be numbered and will appear under the image in the sequence they were created. Note: You can your Page Stories at any time after creation, just like your regular User Stories. In addition, you can double-click the areas marked on the image, and resize or move the marks.